Talk about designing the watch. Jony: Always been interested in watches. At first watches were designed before pockets were invented, so they were hung around necks. Then the pocketwatch happened. There were watches worn on fingers in the 17th century. For reasons of function, for reasons of utility, it ended up on the wrist. And you’ll notice it stayed there for over 100 years. It has now an historical gravitas. It’s a really great place to be able to glance quickly at information. When we started working on it, it seemed like a natural place for technology to end up. Do you see yourself moving beyond consumer electronics? 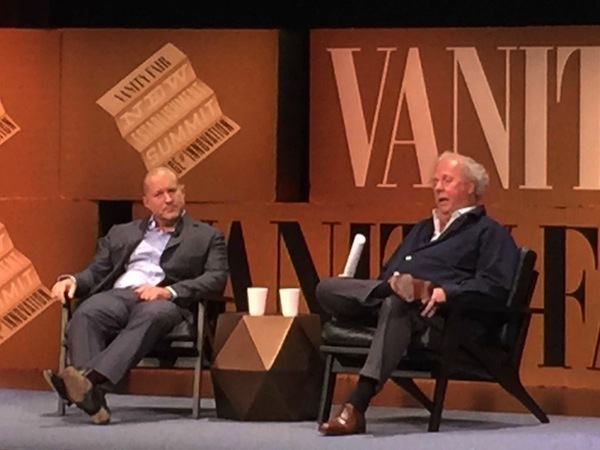 Jony: I do see the watch as a move away from consumer electronics.